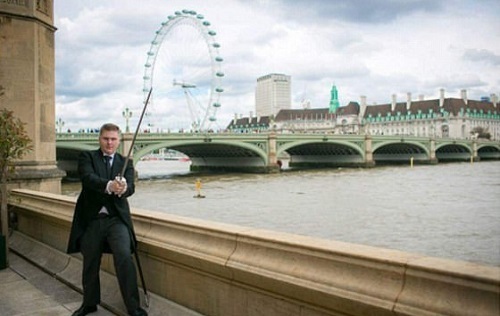 A journalist has offered ISIS £50,000 to fight him after posing outside Parliament with a sword in a bizarre stunt. Andre Walker, a columnist for the New York Observer, posted a picture of himself with his cutlass on Twitter outside the House of Commons. He later said that he would be ‘changing his will on Monday.’ People immediately started saying the post was insensitive, while others simply continued mocking him.